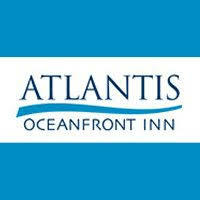 The Atlantis Oceanfront Inn is a beautiful waterfront hotel in Gloucester MA, featuring spectacular ocean views from every room. Less than a mile from Good Harbor Beach, on Gloucester’s rocky shore, every one of the pristine hotel rooms offers a terrace or balcony sitting area, free WiFi and plenty of amenities. Each room is stylish and comfortable. Just slide open the window or take a seat on your terrace and relax with the ocean breeze. After waking to a breathtaking sunrise, enjoy a delicious breakfast in the waterfront dining room. Choose from their unique breakfast menu, with something for everyone. Their café features original specialties with homemade flare, fresh local fruits and vegetables, fresh baked muffins and their own New England fish cakes. You can walk in the soft sand at nearby beaches, relax to the sound of the surf, swim in the ocean, go whale watching, deep sea fishing, sailing, kayaking and exploring. Immerse yourself in Gloucester’s rich maritime culture, shop in Gloucester and Rockport’s quaint downtowns, enjoy fresh seafood at waterfront restaurants overlooking America’s original seaport and art colony. When the sun goes down, enjoy the vibrant music, theater and arts scene featuring world-class entertainment in dozens of off-beat, intimate venues. And if you’re not sure what to do, ask their friendly, helpful staff. You’ll feel right at home. They are eager to help make your Gloucester getaway a memorable experience.